Orkney jewellery designer Alison Moore is one of more than 100 jewellers from the UK and USA to donate work to a special Facebook auction in aid of refugees around the world. The Auction for Aid gets underway on Monday, 18 September, and runs until Sunday, 24 September. It follows a similar auction held last year, which raised almost £25,000 for the global refugee cause. Proceeds from this year’s auction will go to two organisations – Migrant Offshore Aid Station (MOAS), a non-governmental organisation (NGO) dedicated to preventing loss of life to refugees in distress at sea, and UK based NGO, Help Refugees. Spearheading the auction is Leeds based jeweller, Ghazal Ghahri-Saremi, of Soremi Jewellery. “I was deeply affected by the tragic images of the little Syrian refugee, Alan Kurdi, whose body was found washed up on a Turkish beach in 2015,” said Ghazal. “Whilst it was too late to help Alan, I wanted to try and do something positive for the organisations at the frontline of this global crisis and that’s how the auction came together. Ghazal explained that half of the funds raised this year would go to Help Refugees’ Baytna Centre in Northern Greece. The centre, run by Help Refugees’ partners, the Refugee Trauma Initiative (RTI), provides life-changing psychosocial support and primary school education for 0-6 year old refugee children. The remaining 50-per-cent of the auction proceeds will go to MOAS, currently assisting the persecuted Rohingya people in Myanmar. In addition to work by Alison Moore Designs, the auction – hosted on the Auction For Aid Facebook page – will feature donations from jewellers such as Polly Wales, Margery Hirschey, Melissa Joy Manning and Jo Hayes Ward. Jewellery for all budgets will be available. 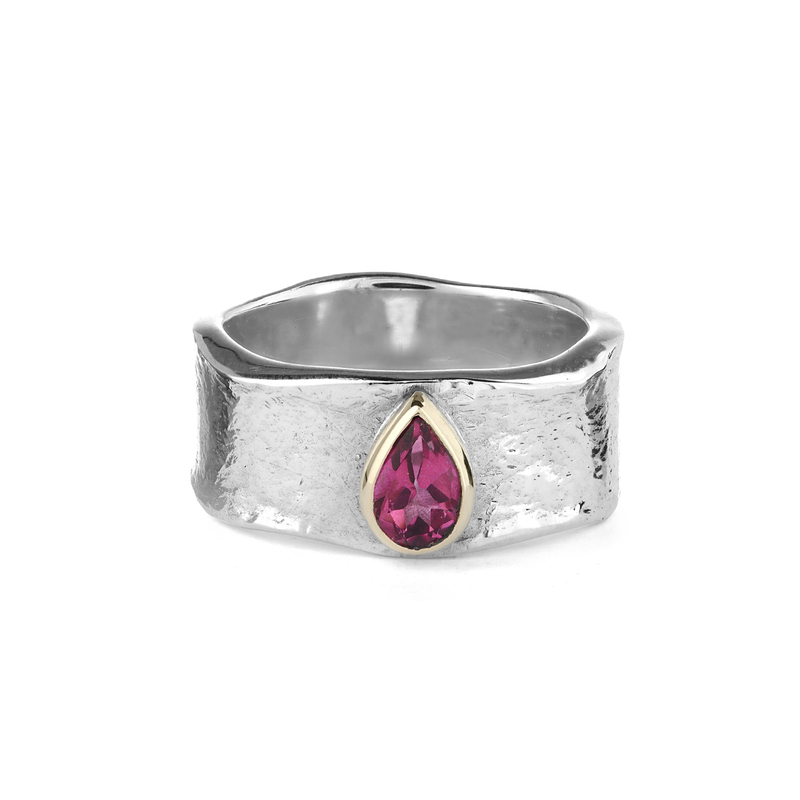 Alison Moore’s pink tourmaline Jorinda ring, one of the Auction for Aid items.